How do I maximize the BTU output per pound of wood burned? What are some techniques for me to burn my Acucraft Fireplace even better? Those are the questions on Acucraft high tech efficient fireplace owners’ minds. We love burning questions! We have been researching, testing and sharing tips since our first fireplace was designed in 1977 during the oil crises. All Acucraft fireplaces have their own unique installation. Below are tips for calibrating your fireplace for optimum performance – the last factor is always changing. 1. Wood – the quality of wood we all know is so important for a good burn, however the moisture content of the wood is the wild card. The only way to truly know moisture is to measure it! We recommend the moisture content of the wood to be close to 16-18% to maximize heat output and keep your glass doors and flue clean. You can have split wood stored for 1-2 years and the moisture content can be well over 20% – this is NOT good for burning (less heat and more build up on glass). 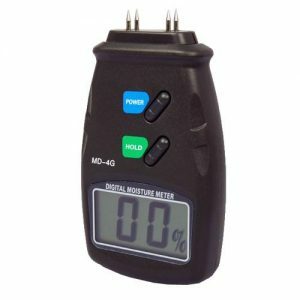 We love using wood moisture meters. We have tested all the different meters and have found some to be much better than others. 2. Combustion Air- The outside combustion air controls the amount of fire / heat your wood is going to produce. The combustion air enters the firebox through our airwash system at the top of your door opening. This keeps the glass cleaner. A good hot fire in combination with the right combustion setting will CLEAN THE GLASS. You will need more combustion air when you are starting a fire and if your wood is wet. If you do not have enough air to the firebox your glass may darken. The length and diameter of your combustion air run is a variable to consider. 3. Damper Settings – The damper controls the burn time. The more you damper down, the longer the burn. But there is a point of diminishing return by the creation of creosote in your flue. Please inspect and clean your flue as often as you can. 4. Flue System – The length of total run, the amount of offsets, type and condition of flue are all important factors. 5. Outside Air Temperature – Once you have your Acucraft all dialed in for the burning season, the fireplace starts burning hotter and producing more heat than before. What happened? The outside air temperature changed. The colder it is outside the smaller the air molecules become hence more air into the box. Also, the temperature differential between the damper and the top of your flue changed. Once that difference is greater than 200 degrees the plane takes off so to speak. You will need to adjust your Damper and Combustion Air based on the ever changing outside air. Learn more about our single sided wood burning fireplaces!